Who survived the disaster that overcame the rest of the crew? What continues to power the vessel? And why has a stretch of wooded countryside suddenly appeared in the middle of the craft? 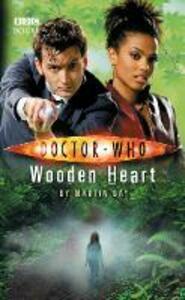 Featuring the Tenth Doctor and Martha as played by David Tennant and Freema Agyeman in the hit sci-fi series from BBC Television.